Leathery green veined and slightly toothed oval leaves grow alternately on 8-12” stems. 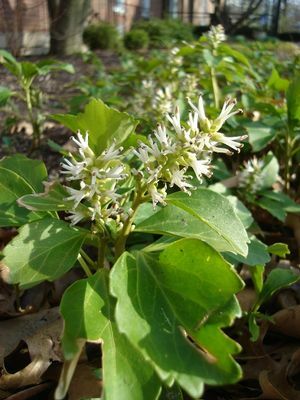 Small white flowers appear in early spring. 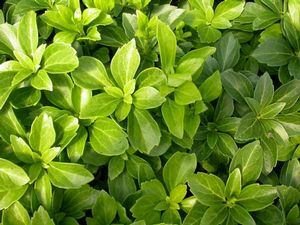 This evergreen ground cover will spread in most soil types, more rapidly in organically rich soil. Suitable as a lawn substitute planted under a tree canopy.